Ultrabond ECO® 185 is a favorite adhesive of professional carpet installers. It''s extremely fast grab, superior leg development and excellent bond strength make it the perfect product for fast-track carpet installation. 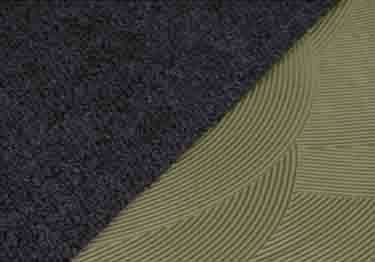 Ultrabond ECO® 185 can be used with almost every carpet type and requires minimal flash time for ideal performance. Suitable for use over fresh concrete slabs with moisture vapor emission rates (MVERs) up to 8 lbs. per 1,000 sq.ft. per 24 hours. Using this product may help contribute to LEED certification of projects, see product data sheet below for more details. Do not install nonporous flooring products over nonporous surface. Suitable Substrates: exterior-grade plywood (Group 1, CC type); approved wood underlayments (per manufacturer recommendations; cement-based self-leveling underlayments and patching compounds; concrete and properly prepared terrazzo; radiant-heat systems that have been properly installed; gypsum underlayments that have been properly prepared and primed and meet ASTM F2419 requirements for compression; embossing levelers applied over existing properly prepared and fully bonded ceramic tile and fully bonded vinyl composition tile (VCT) Note: Must be one layer only. Before installation substrates must be clean and free of dust, dirt, oil, grease, paint, curing agents, concrete sealers, loose bonded toppings, loose particles, old adhesive residue, and any other substance or condition that may prevent or reduce adhesion. All surfaces must be level, even, flat and smooth prior to installation. Ultrabond ECO® 185 is a favorite adhesive of professional carpet installers. It''s extremely fast grab, superior leg development and excellent bond strength make it the perfect product for fast-track carpet installation.